The Yoga Book currently comes as a full Windows 2-in-1 and a somewhat rare Android-powered laptop model. The hardware for both is surprisingly similar. While Android makes sense if you look at the Yoga Book as a tablet with a vestigial oversized touchpad, it's less ideal as a productivity option, if only because developers haven't been eager to create "work" apps for Android tablets. 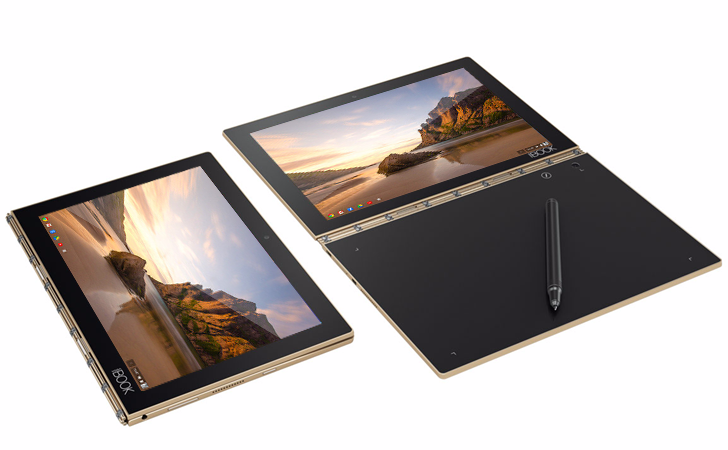 But Chrome OS laptops, with their generally cheap prices and desktop-style interface, are much better suited to more conventional office work... if not the digital art and note-taking that the touchpad on the Yoga Book enables. It's a fascinating balancing act between design and utility; at the moment there might not be a single ideal operating system for the Yoga Book. That being the case, it's good that we'll have as many choices as we can. Jeff Meredith, Lenovo's VP of Android and Chrome Computing Business Group, said that there was "a lot of interest" in a Chrome OS-powered Yoga Book, especially for the education field. He went on to say that the Chrome and Android versions of the device might "meld together," especially since certain Chrome OS laptops can now run Android apps from the Play Store. That's an interesting (but not particularly illuminating) statement, in light of the looming prospect of a combined Android/Chrome operating system.